It's never too late to start thinking about your Christmas budget! 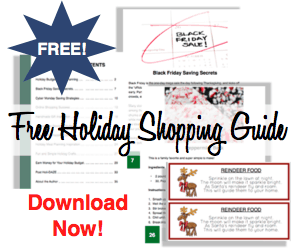 You can download our Free Holiday Shopping Guide and learn how to save and budget more this season! What ways do you literally save to prepare for a high spending time?